Mickie Gee is a retired librarian and a grandmother. She learned all her book-repair tricks on the job or in the kitchen! Make a Cross and pray while you are at it! Making crosses with trash? 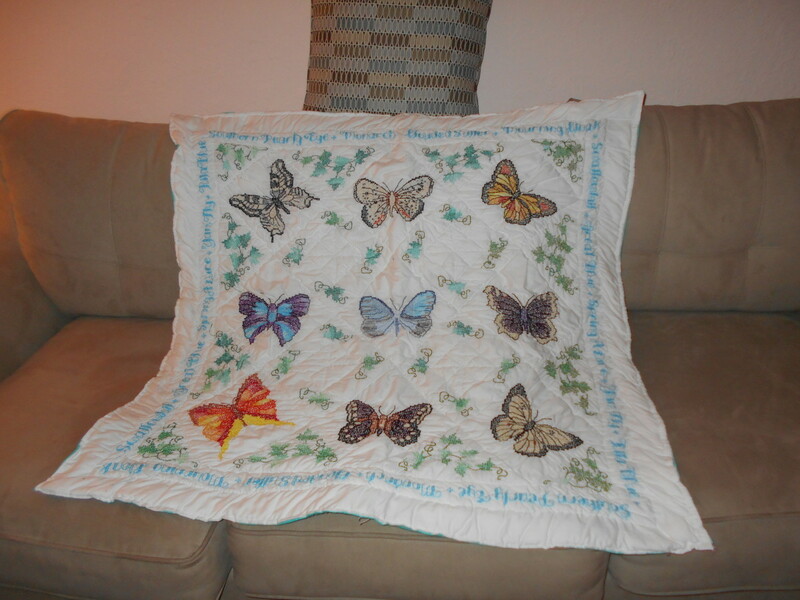 It is possible to reuse discarded materials and give them a new, Godly life. My current new craft project involves taking what the world does not value and make it into a work that honors God at the same time. My goal is to make a craft and improve my spiritual life at the same time. 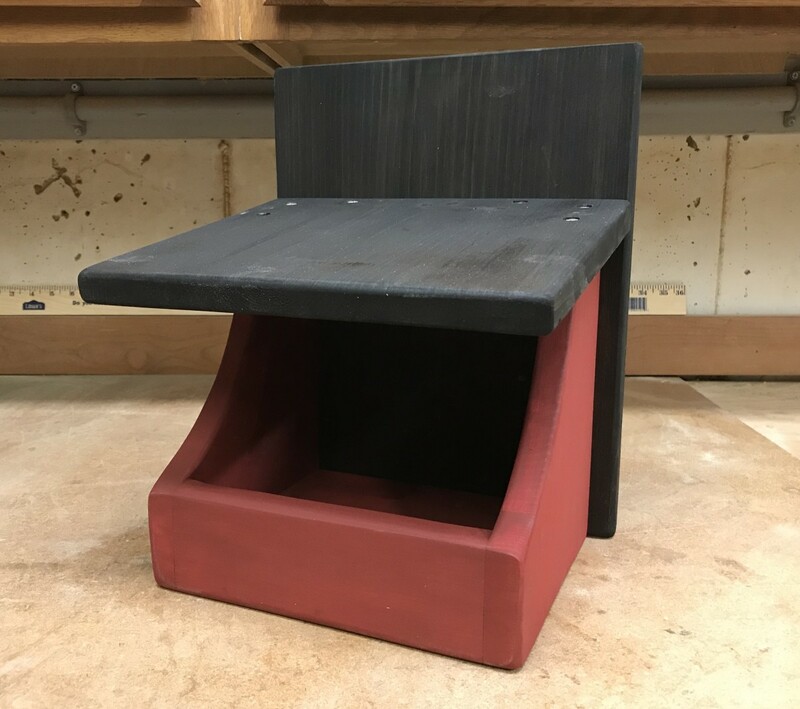 A small group at my church took on this cross making project and I will share with you what they (and I) create during our venture into the world of Godly recycling and up-cycling stuff. It is probably no coincidence that we started this small group of creative, crafty women just before Easter arrives! To see how I made the cross shown here, go see " Make a refrigerator magnet cross" below. Yes, the image is mine. Did you know that Earth Day is on a Sunday? 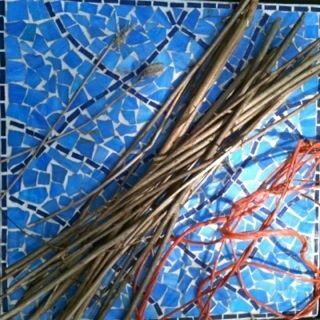 Well, it is; you can use these crosses as an Earth Day Project! Take what the world doesn't value and make into a work of God. Look in the trash to find a cross! 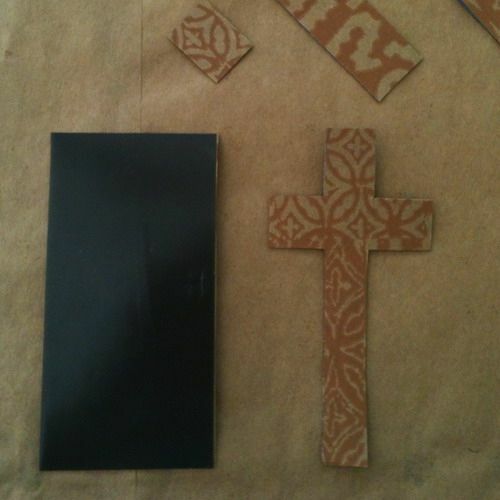 Yes, the supplies for these crosses I am going to make will come from trash that I find. Looking in trash for stuff to use to recycle is a creative process. One must think "out of the box" and view these discarded materials in a new light. For example, every February and March in my town, murder is committed. 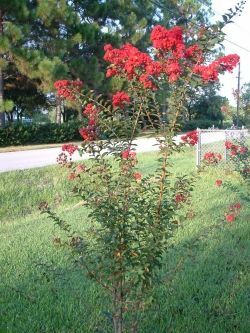 Not on people, but on crepe myrtle plants. Trimmings can be found along every street and lane as a result of this "crepe murder" and I intend to use these unwanted stems in my recycling, crafty project. My friend at church, Peggy, purchased this book last year and thought that she might be able to use it in her crafting. Well, the Alabama Tornadoes happened in April 2011, and she found a lot of "trash" in her neighborhood that she could recycle into crosses (and other useful things as well--like a tree house!) Her neighborhood was one of the hardest hit in the over-the-mountain Birmingham area. 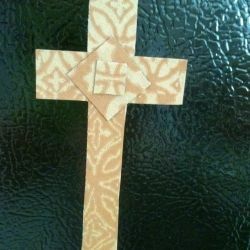 Making crosses is designed to be a "healing" project. Peggy will surely get lots of healing out of scouring her community for stuff to fashion into crosses. All quotes on this page are to be found in this book. Reject the materialism of this world by reusing discarded materials and giving them new godly life. The Result: A cross--not perfect, but still a cross! I trimmed all my stems to the same length. 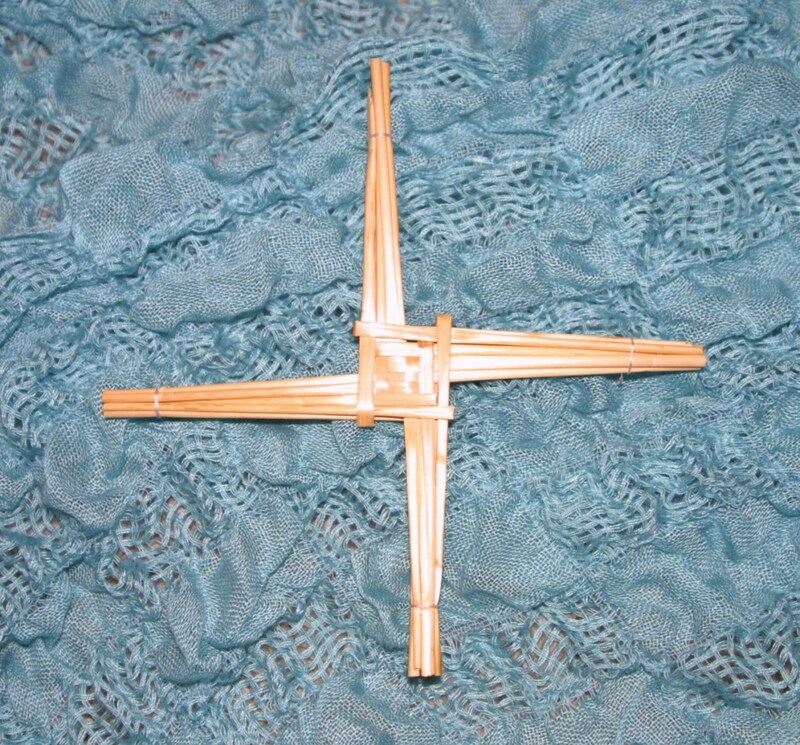 I chose three stems (for the three crosses on Calgary) for the the uprights and three for the horizontal. I kind of played with different stem trimmings to get a pleasant looking cross. To make it easy to handle, I used a hot glue gun to secure the stems and let the glue set up. Then I took the orange plastic sting (used originally to hold a pine straw bale together) and wrapped it around the cross. I wanted to make a sort of "God's Eye". Don't know how to make one? Then you can click "God's Eye" to learn. I had to remember that perfection was not the goal of this project. I wanted to be closer to God and use Him for my inspiration. Make A Refrigerator Magnet Cross - click on small images to see explanations and make photos bigger. 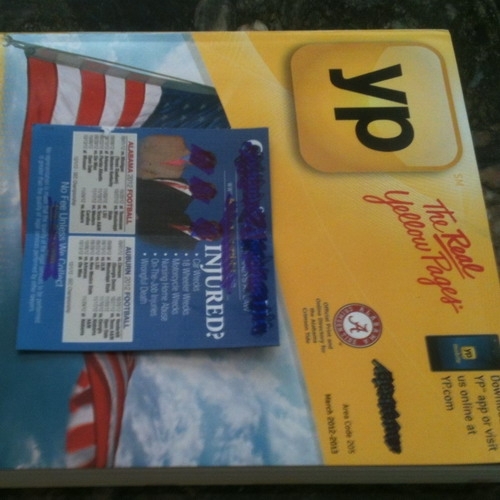 Phone book with a magnet advertizement on front. I usually trash those magnets. 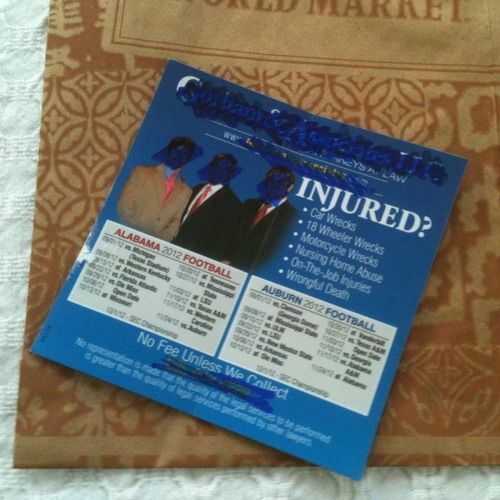 Find some great paper to cover the ugly ad. 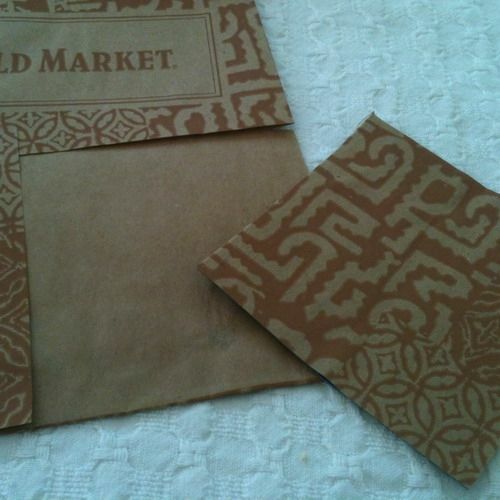 This paper shown here is a bag from a store. 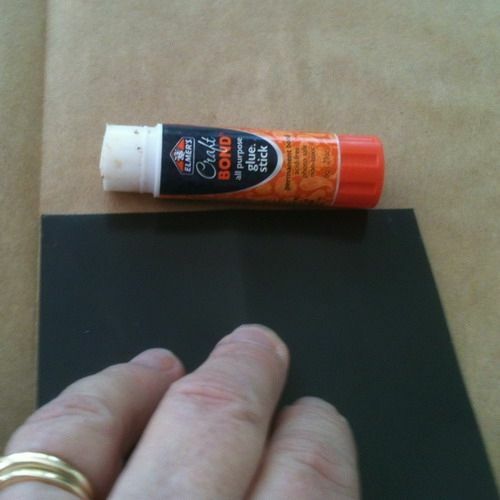 Use a glue stick and cover the front of the ad and place it face down on the wrong side of the paper you are using. Cut around the magnet with the paper glued to it. This is the covered square magnet. 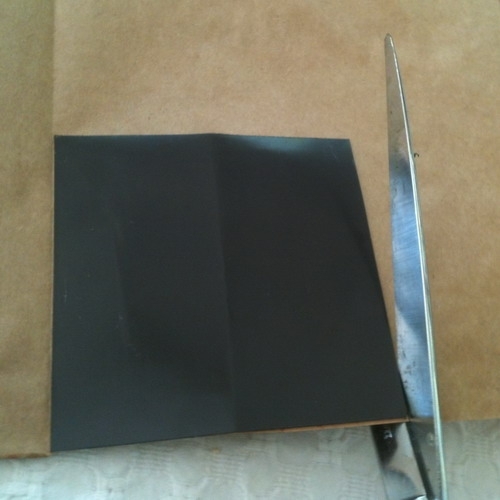 Rub the paper really well to make sure it sticks. Fold the square in half to give you a straight line to cut. 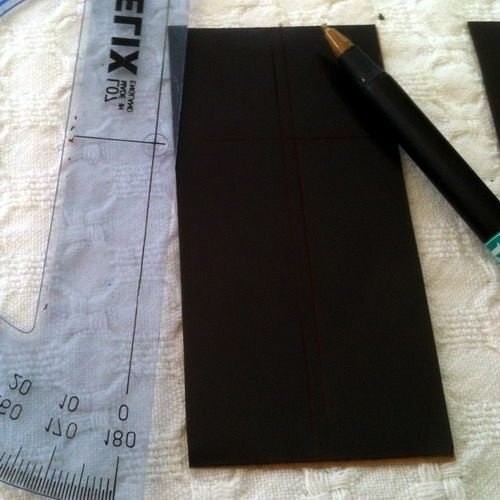 I needed a ruler to make my cross drawing. You might be able freehand it. I cut the cross out. Still have another side to use. 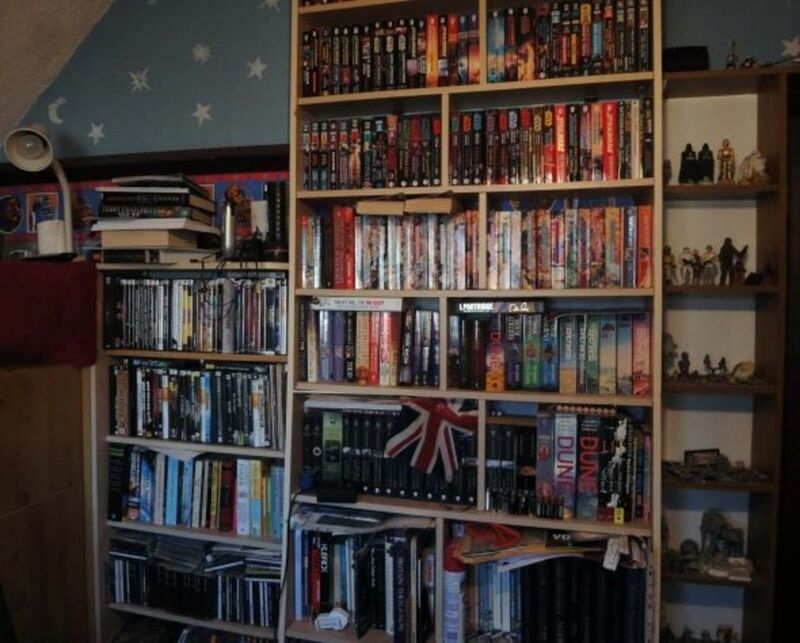 See the cut-out strips at the top of the photo? 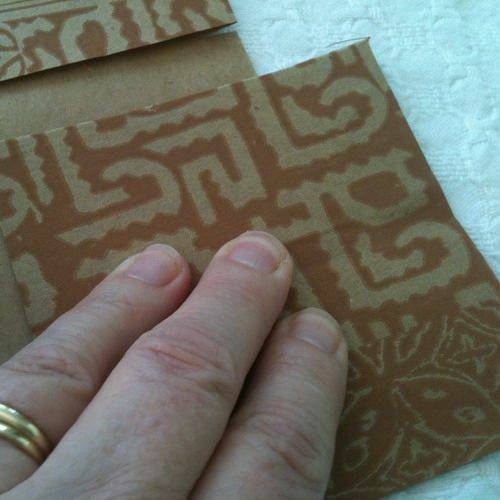 I used cuttings from the strips to make a design to glue on the front. Engage in an activity that takes you directly into communication with God. 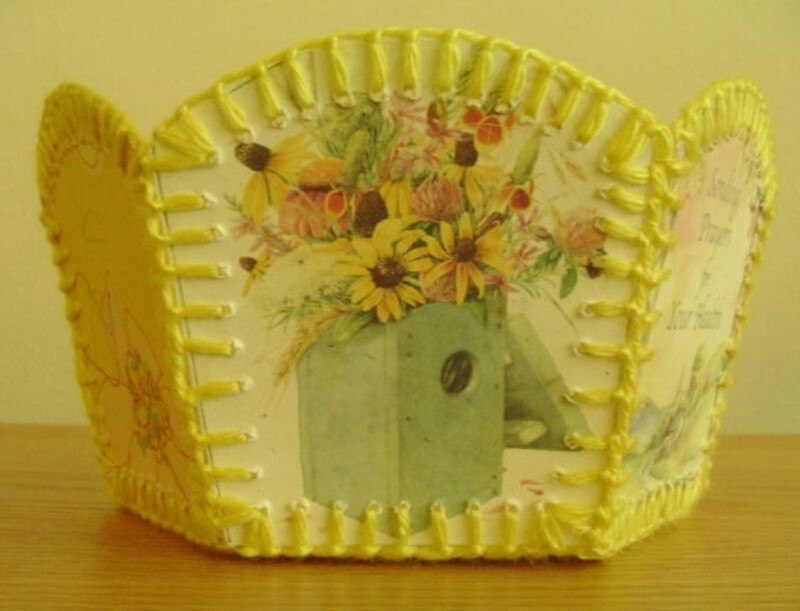 Have you ever made a craft out of a discarded item? - It takes imagination to find a new use for trash. A short, sweet hub centered around a great idea. The projects are easy and doable, plus have the potential to have other projects springboard from them. I am always on the lookout for ideas such as yours. Thanks! This is so awesome, so inspiring. Thank you for writing this. I love taking old, rejected stuff and breathing new life into it. Sounds like what you were talking about, doesn't it? Love your lens - it was so inspirational! Thanks!! What a neat idea! I have to try this. Congratulations on your creativity and faith. Happy Easter and Easter Blessings. Lovely lens! Congrats on being Showcased in the Spring and Easter Crafts. Happy Easter! 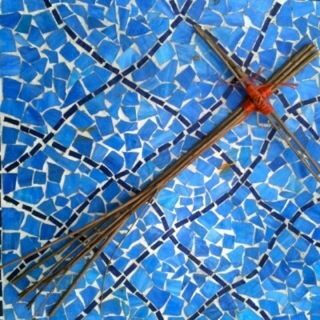 @ivanjuras: During the process of making those crosses, I was growing my personal relationship with Him. I make crosses with precious metal clay, a recycled silver, so I am really following your advice. Why would you ever make a cross out of anything? Christianity is not based on items, it's based on your personal relationship with the Savior. 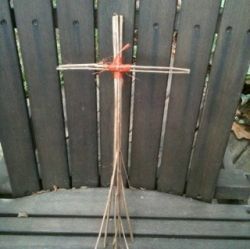 This is the greatest way to tell God that we love him by saving the mother nature using recycle stuff to make crosses. Great lens and great idea! Your Lense has truly been inspiring. PLease keep up the great work. Like the saying goes.."One man's trash is another man's treasure. 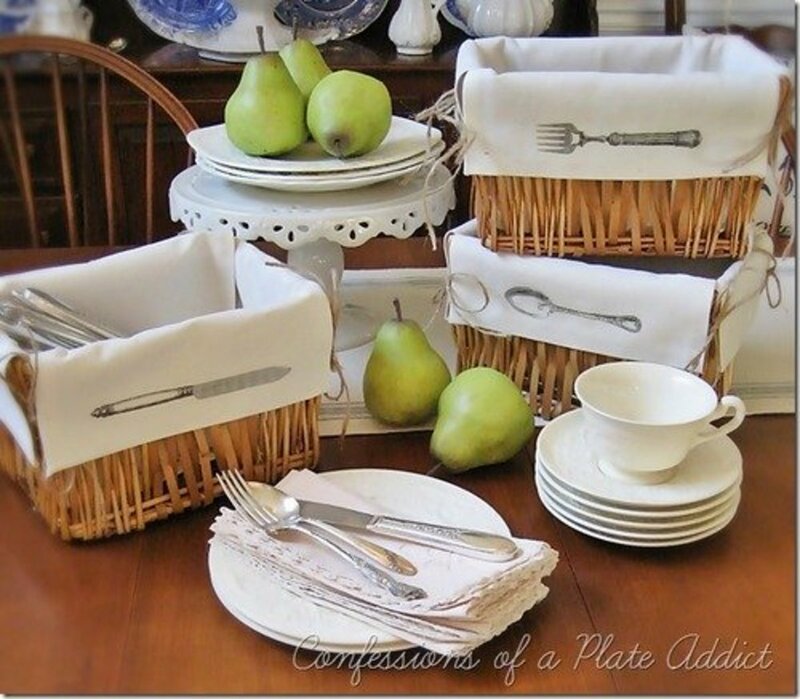 ", and that is certainly true for your idea of making crosses out of recycled items and giving them a godly new life...just like God does with us! Very cool! I admit I save many things in the hope of finding a good use! This is truly inspirational! Great idea...thanks for sharing. Can never have too many moments with or doing for God. This lens inspired me today, thank you for sharing. Not yet, but this lens inspires me to. Great lens. God bless! I use all my of toilet paper and paper towel cardboard tubes to make little starter pots for herb and vegetable seedlings. What a great ministry you've developed. Grace, Mercy and Peace, sister! Wonderful idea and recycling is oh so important - thank you for this. Great lens and an introduction to a wonderful book. What a positively wonderful idea! Blessed by a SquidAngel! Password below ses: brilliant! And I agree fully! "My goal is to make a craft and improve my spiritual life at the same time." I like that. I started making rosaries for the same reason. But then, I also liked your lens about drinking 22 bottles of wine and saving the corks to make wreathes! LOL I think we have a lot in common so I'm gonna start of my day right for a change and bless this lens! Have a great day!